Did you know this April has five weekends? That means you get an extra chance to enjoy the vibrant nightlife of the Aurora Area at First Fridays Downtown Aurora and spirited venues like Two Brothers Roundhouse, Ballydoyle, and The Law Office Pub & Music Hall. 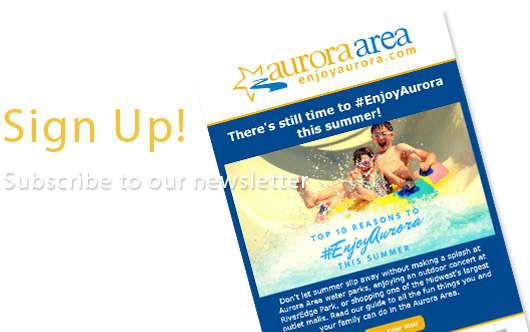 Kids and families can have fun, too, with outdoor recreation at Red Oak Nature Center, interactive science displays at SciTech Hands-On Museum, and kid-themed #PartyOnAurora Wayne's World Events in Downtown Aurora. We've broken out the month into the 5 Weekends of April to help you plan your visit. 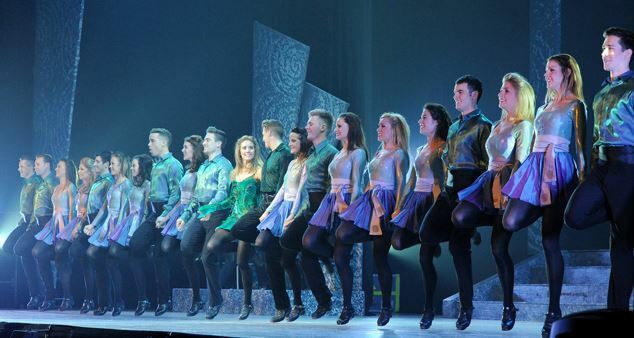 Celebrating its 20th Anniversary, the world's most famous and spellbinding IRish dance troupe brings its acclaimed show to the Paramount Theatre the weekend of March 31 - April 2. Sip your way through a menu of authentic French cuisine prepared by Chefs Kate McNamara and Steve Werrline at Yorkville's Ginger & Soul. Fermilab's Art & Lecture Series brings the sound of Ukrainian avant-garde folk quartet DakhaBrakha ("give and take") to the Ramsey Auditorium stage in Batavia for a hotly anticipated performance sure to include the troupe's trademark theatrics. 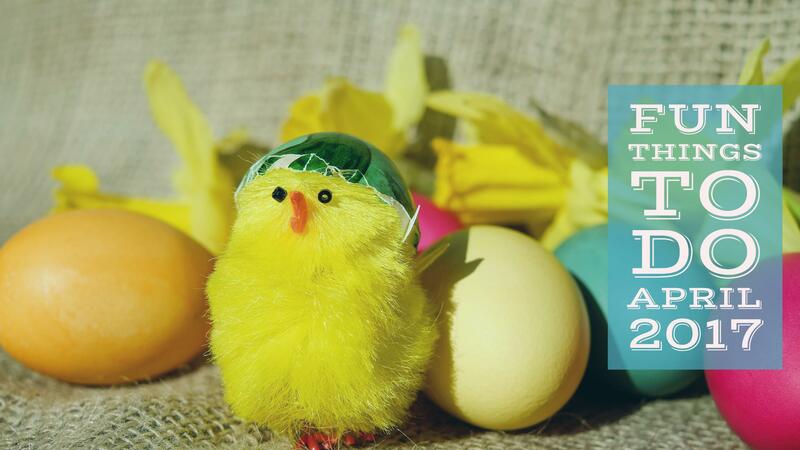 Our Events Page has a full slate of Easter egg hunts from around the Aurora Area, including a Doggie Easter Egg Hunt at West Main Community Park in Batavia and a Bunny Breakfast and Egg Hunt at Beecher Community Center in Yorkville. Red Oak Nature Center is home to the only known limestone cave in the Aurora Area, and they're offering a free guided hike through the woods to enjoy the sights and sounds of spring to explore the cave on this Sunday afternoon. 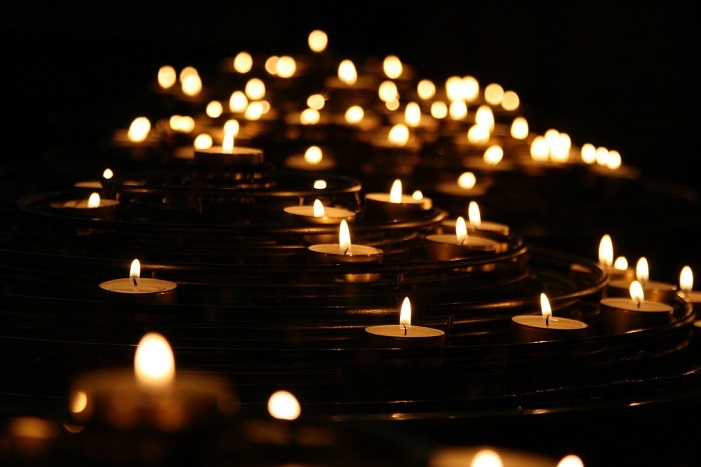 Treat yourself to a relaxing evening of candlelight yoga in the Homestead's historic Lewis Steward Library or the gorgeous outdoor Labyrinth. This guided Gentle Flow yoga class promotes relaxation and restoration through standing poses to increase energy and blood flow as well as sitting, rejuvenative poses to relieve stress. Enjoy a glass of wine, chat with friends, tour the property, and relax. #PartyOnAurora continues with this fun, kid and family-friendly Wayne's World event at Luigi's Pizza and Entertainment Center! Prizes, games, and more for the whole family to enjoy. The work of Joe Milosevich and Colin Sherrell is presented jointly as Assemblage and Sculpture in this 2nd Friday celebration at Water Street Studios. View the work, meet the artists, and enjoy live music, catering from Gaetano's, and a cash bar featuring Solemn Oath beers and Bright Angel wines. Hailing from Chicago, Growler take the picking style of bluegrass to new heights with thick four-part harmonies, lush instrumentation, and a deep, impeccable groove. Jon Stickley Trio combine gypsy jazz and hip-hop in an intoxicating, "all-acoustic swirl" (Acoustic Guitar Magazine" all their own. Come see what makes The Comedy Shrine one of the funniest places in the Aurora Area. Vince Carone will be recording his new album "I Plead The First" in front of live audiences this weekend with host Adam Gulley and featuring Jim Flannigan. 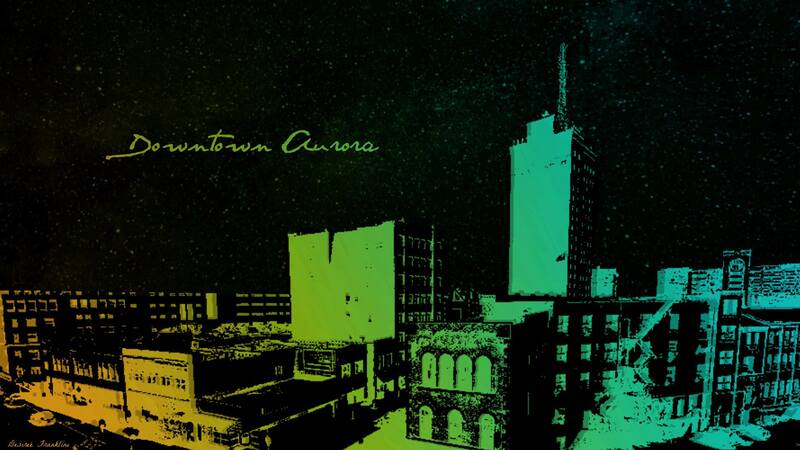 Paramount's award-winning Broadway Series closes out with a bang: what began as a rock opera concept album grew into a global stage phenomenon garnering 7 Tony Award nominations and endless awards overseas in its 40-plus year run. 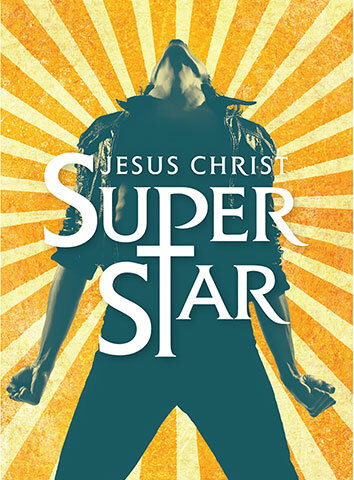 You've never seen a production quite like this one, though, as directed by Ron Kellum and led by Broadway veteran Destan Owens, this show will set a new standard for Jesus Christ Superstar fans the world over. This fun, unpredictable, high-energy funk band is full of life and big, catchy melodies. Free your mind and your... dancing shoes will lead you to the Law Office Pub & Music Hall in Downtown Yorkville for this one night only event. Step into the past with the 10th Illinois Regiment as they conduct a living historical portrayal of a Civil War field hospital with the highest degree of accuracy. The Law Office shakes up some more action this weekend with the alt-rock, post-punk, and country-tinged indie pop of Louisville's Quiet Hollers. Consequence of Sound called their latest a "beautiful portrait" breaking the "confines of roots music," and Pop Matters describe them as "wonderfully unique". Find your own words and tell your friends to meet you at the Law Office for the show. Plant seeds, decorate flower pots, make crafts and play games in celebration of Earth Day at the Fox Valley YMCA! The debut beer dinner of B.B.G.B. 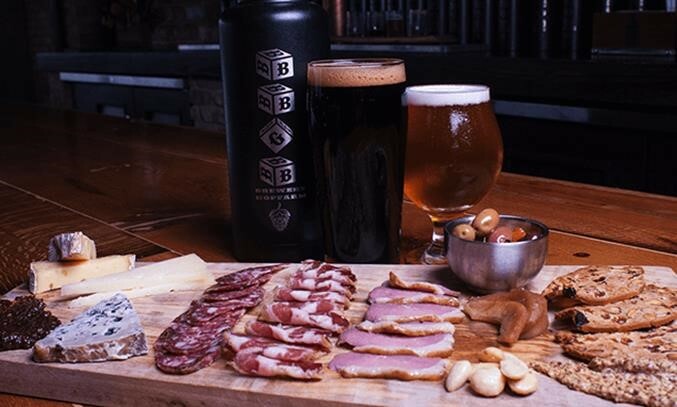 Brewery at Hardware promises an incredible five-course menu paired with five in-house B.B.G.B. brews, plus a special tapping of the 2014 Dogfish Head 120 IPA, a craft beer lover's beer of beers. Hardware has won many fans in less than a year on the suburban dining scene, and this is an awesome opportunity to take a guided tour of their adventurous, sustainable cuisine. The Last Revel pull into station at Two Brothers Roundhouse to showcase the bombastic live energy behind their delicate and haunting front porch Americana. Openers Miles Over Mountains are favorites of the Midwest roots scene and will set the stage nicely for a night of richly textured American folk music. Super SciTech Saturday's April theme is "April Fools Your Brain" with creation stations and interactive exhibits. The Wayne's World Air Guitar Competition is open to kids and begins at 1pm. This special holiday is celebrated throughout Latin America where families, schools, and communities come together to value and uplift the children of their communities. Enjoy fun-filled and educational activities, food vendors, entertainers, and main stage entertainment for all ages. Traverse the scenic trails around beautiful Blackberry Farm and Lake Gregory with this CARA-certified 5K. A "Pig Pen" 1-miler is available for kids 5 and up. Tour the beautiful Nagel Emporium at Abbey Farms, a gorgeous venue and setting for weddings, events, meetings, and more. Her earliest memories are of the sounds of music. Born and raised in Vermont, Elisabeth von Trapp is the granddaughter of legends Maria and Baron von Trapp, whose story inspired The Sound of Music. Elisabeth has toured the world, enchanting audiences from European cathedrals to the Kennedy Center with her distinct musical style, at once ethereal and earthy, delicate and powerful. Enjoy this Sunday afternoon concert in the intimate, historic Sandwich Opera House in charming Downtown Sandwich, Illinois. 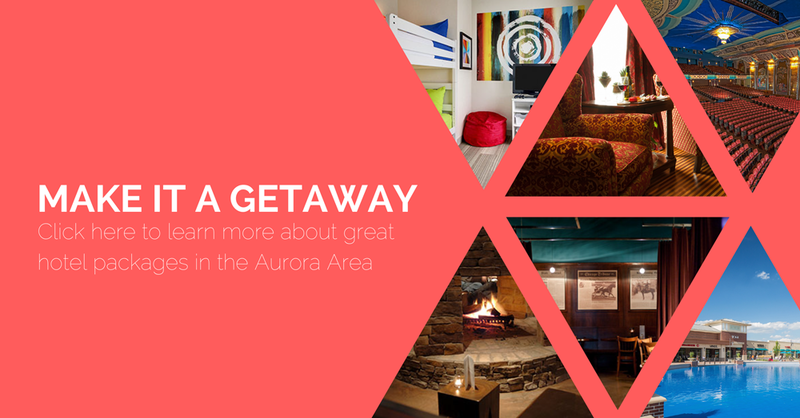 Looking for more Springtime Fun in the Aurora Area? Plan a Road Trip! Our road trip guide to the Aurora Area is action packed with exciting events, attractions, and sight-seeing opportunities throughout the Aurora Area, like destination outlet shopping at Chicago Premium Outlets, natural bliss at Phillips Park, Fermilab's 50th Anniversary celebration, and the iconic mid-century masterpiece, Farnsworth House.